Cracked Wheat Smoothie Bowls (Instant Pot or Stovetop) – packed full of antioxidants and vitamins, these cracked wheat smoothie bowls feature a super food twist! 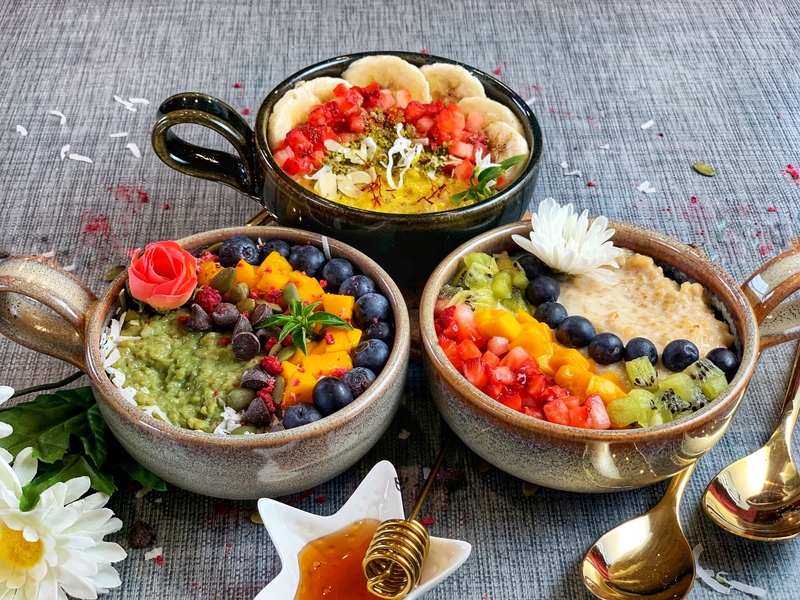 They look and taste just like smoothie bowls and even have the same fresh fruit and toppings, but they are extra healthy because of the yummy cracked wheat! Try it in three flavors – Saffron-Turmeric, Vanilla and Matcha for a healthy, super delicious breakfast or as an easy snack!